Black River Juice Spritzers Packaging | circus strategic communications inc. When Black River Juice recognized a gap in their natural and organic juice market, they called circus to design a fresh, bold and sophisticated package to hold their delicious new spritzers. Although Black River Juice has been providing organic and natural pressed juices since 1979 and their customers are loyal high quality juice drinkers, they recognized that it was time to bring something new to the table – literally. 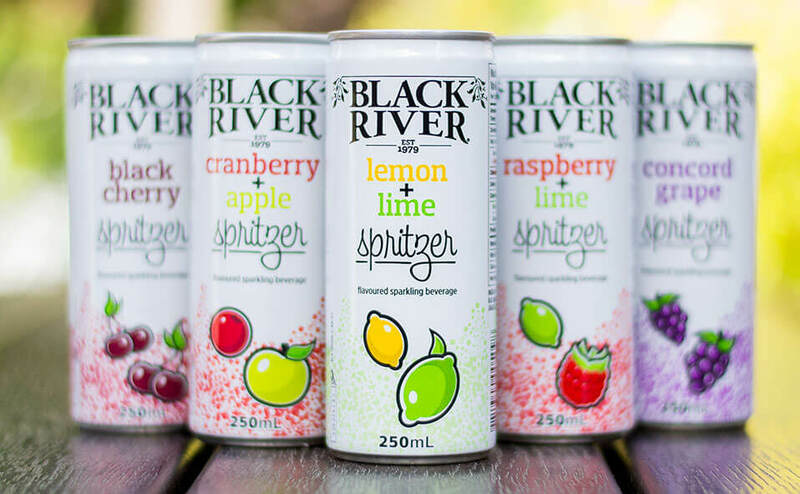 After reworking and updating the Black River Juice brand logo, it was important that the spritzer packaging capture the essence of the products: mildly fizzy, refreshing, and delicious real fruit juice beverages. The bright white can background ensures that the package images and text are crisp and clear, while the bright juicy colours, illustrative style, and bubble icons used across all six of the spritzer flavours, create a cohesive family of products that are easily recognizable, attractive to a younger new generation of Black River Juice consumers, and that stand out on shelf. 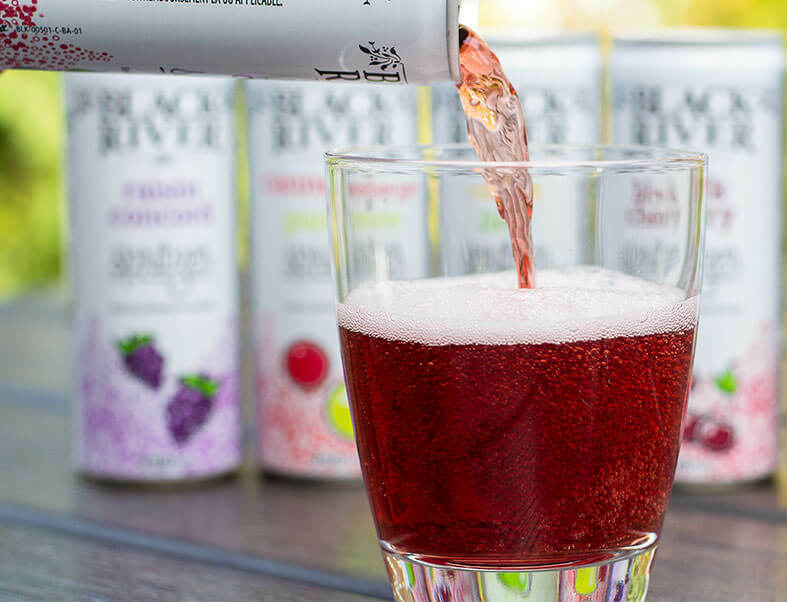 By recognizing a product gap and filling it with a fresh take on juice products, Black River Juice was not only able to create a buzz in their markets, but also significant product uptake by retailers and consumers alike – right out of the gate. Sometimes it really is what’s on the outside that counts. Through significant client discussion, competitive and industry research, and concept work, circus is able to create beautiful, engaging, and successful packaging for our clients that meets industry standards and government packaging requirements. We also helped rebrand and redesign Black River Juice bottles. See our work.